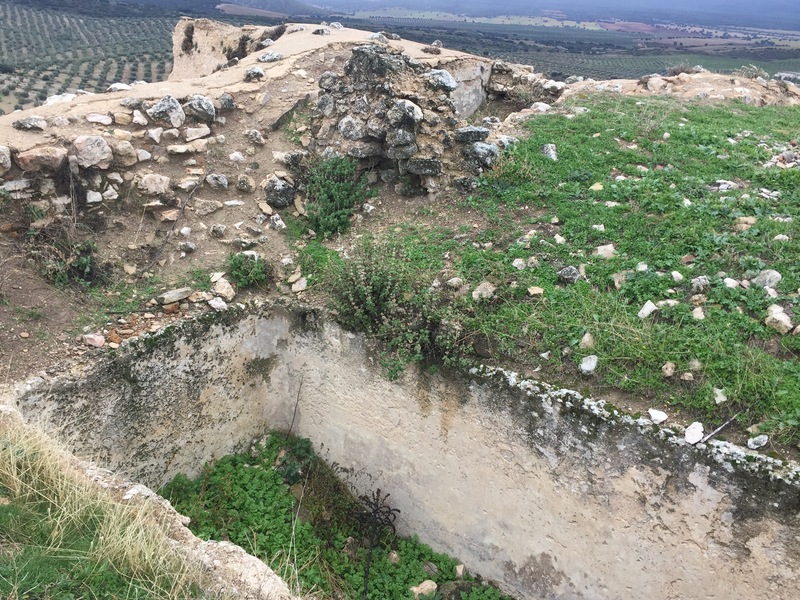 Category: Estepa and Pedro’s pueblo. Every time I think that my life here in Spain couldn’t possibly get any better, it does. It happened this past Tuesday when I received a text from Pedro. I will digress. Pedro is, by far, my favorite partner in crime here in Spain. He is totally off his rocker and always in a great mood. He sings and dances to American music while he drives and he likes to eat as much as I do. Pedro has extremely good taste in food, which I believe he gets from his mother. The woman’s palette is impecable. Seriously, this lady only buys and eats the best quality of food. I have learned that by snooping through her refrigerator and cabinets that I save myself a lot of time and money. I do not have to buy 10 of something before I find the best one. Pedro is always taking me to small towns outside of Seville to eat. We once drove to Olivares in the pouring rain on a Sunday night just to buy and eat postres. Anyway, Pedro’s has olives. 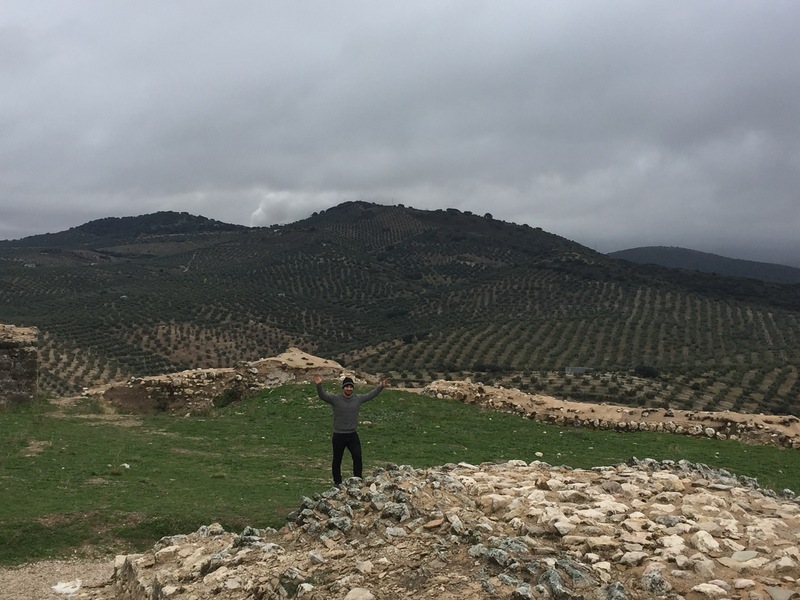 Huge aceituna plots in his families pueblo. And, almonds. His text on Tuesday told me to pack my bags. We were going to his village! Food and everything related to it, is my thing. Pedro knows this and takes great pleasure in exploring all avenues with me. 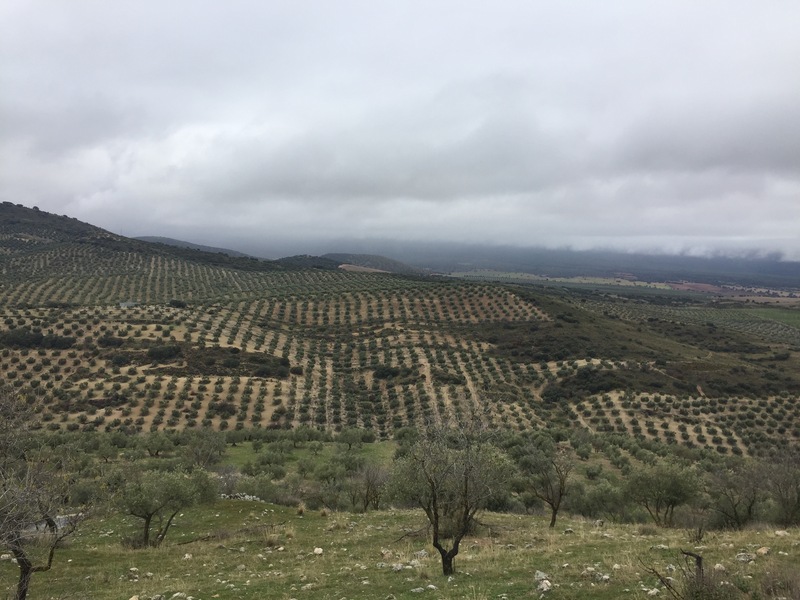 So you can imagine my excitement when I learned on Tuesday that I would be visiting the very origin of my delicious Spanish olive oil. 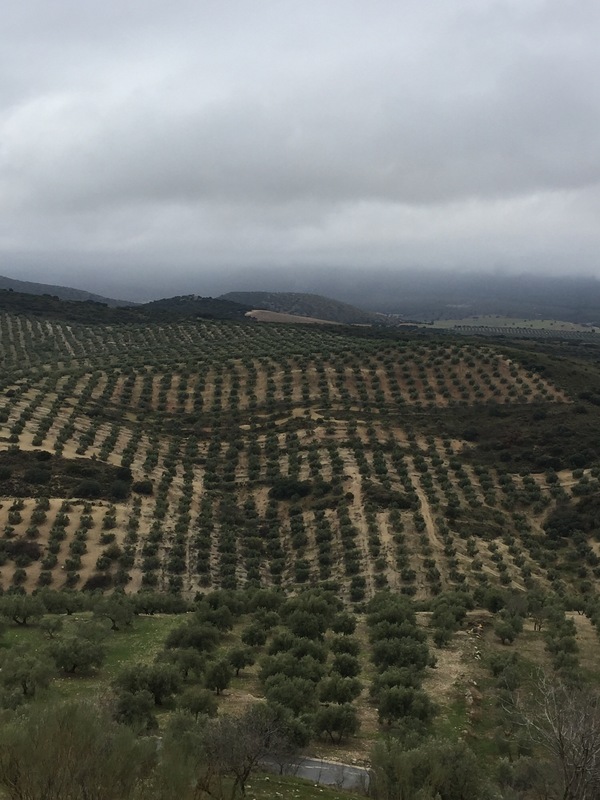 Spain is the largest producer of olive oil in the world, with Andalucía being the largest olive growing area on earth. 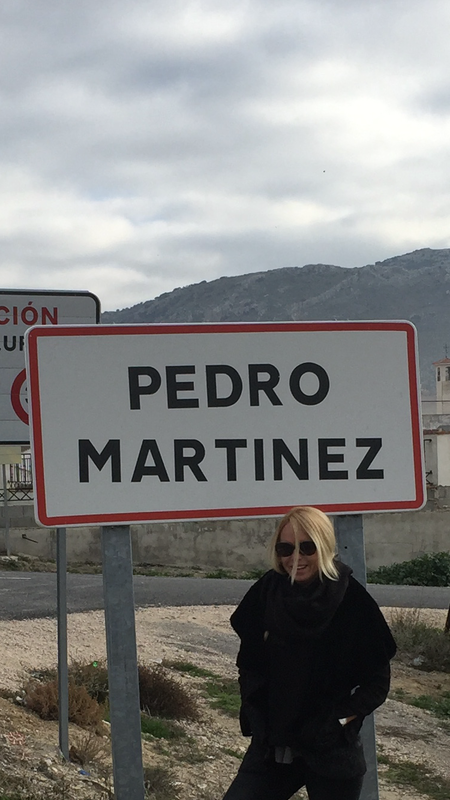 Pedro’s family is from a very small, insanely beautiful, village in Granada named ‘Pedro Martinez’. (This is Pedro’s actual name. I can’t get started on this right now). 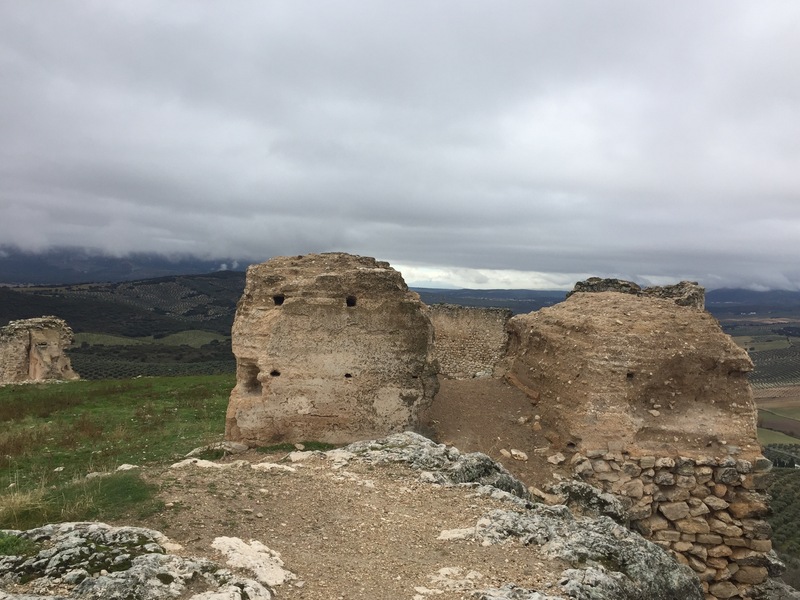 The village is located about 3 hours drive from Sevilla in the Sierra Nevada mountains. We were to make a pit stop in ‘Estepa’ on our way there. Estepa is a town in the south east of Sevilla, above Malaga. This town is well known for its production of Christmas-time sweets. 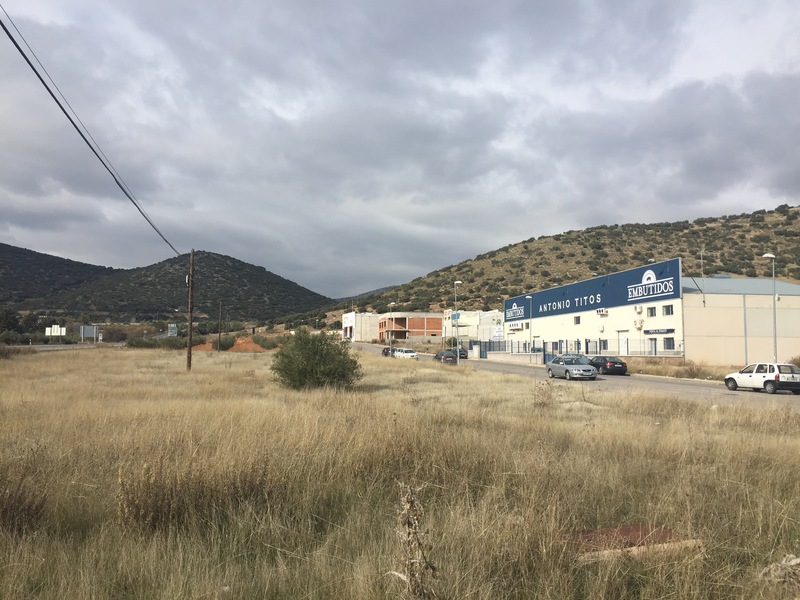 Estepa has 30 factories and the factories produce 18 million kilo’s of Christmas sweets annually. They are particularly famous for ‘Mantecados’. Since 2009 the production of these confections have been protected by a ‘protected designation of origin’, Mantecados de Estepa. A home in Spain without these in December is like a house in the United States without a turkey on Thanksgiving. This treat comes individually wrapped in crinkly thin paper and is dusted with powdered sugar. Unwrapping them you are hit with almond, cinnamon, lemon or anise seed. All classic flavors of Spain. When eating, you must either nibble very carefully or pop the whole thing in your mouth because the whole cookie will easily dissolve into a pile of crumbs in your hand. I had sampled one of these treats in Pedro’s home in Sevilla last week and fell in love. It was then that Pedro told me that we could go to the factory and see the old ladies making them. 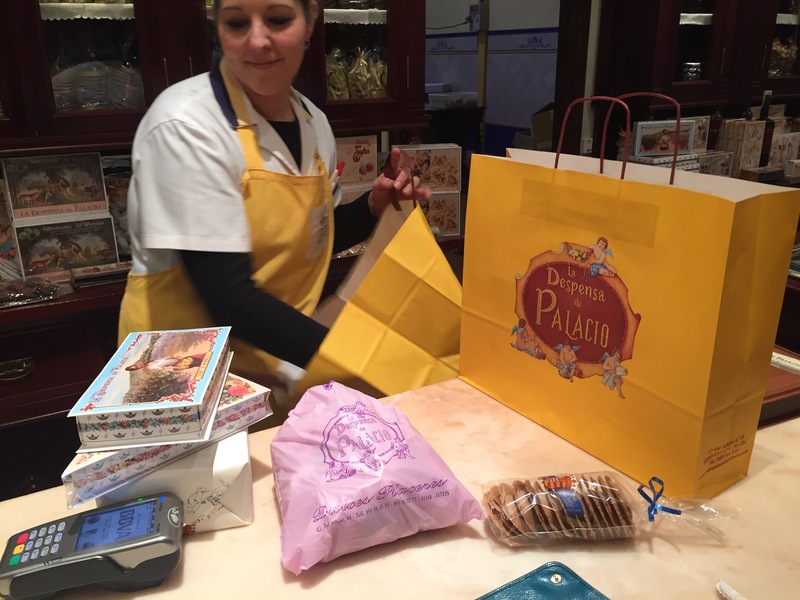 ‘La Despensa de Palacio’ and their exquisitas galletas! 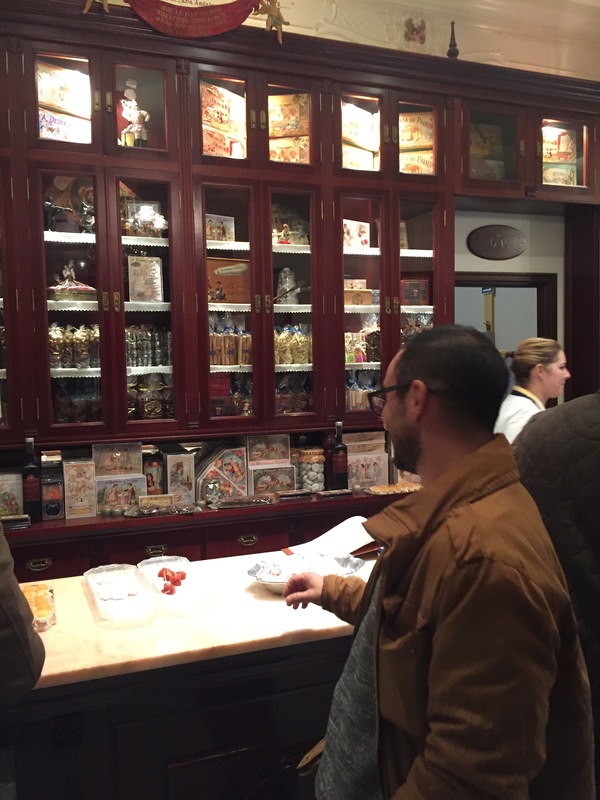 After our visit to the factory, we purchased several bags of treats to share back in Estados Unidos. 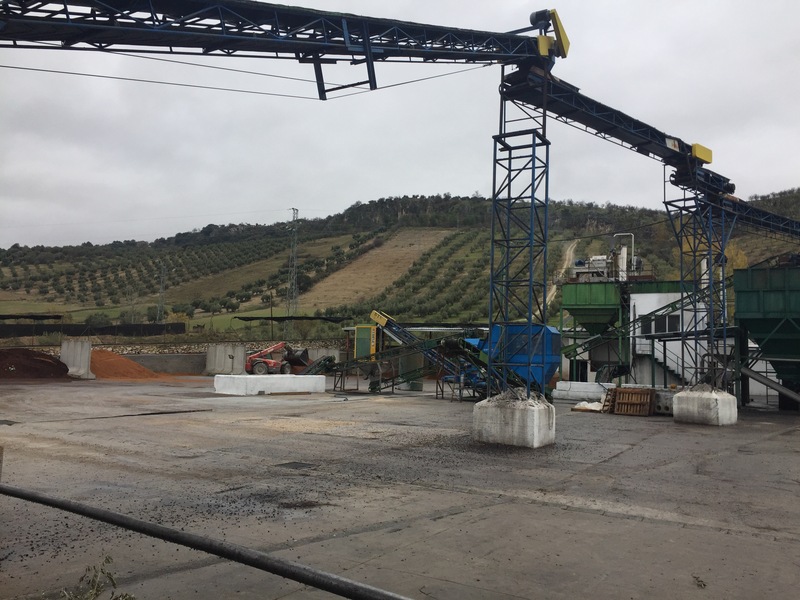 The olive harvest takes place in the winter between November and March. And, picking these olives is no easy task. I started my day on Wednesday witnessing this ordeal. From start to finish, and it was amazing and beautiful. First, nets are laid under the tree so that it can be shaken and beaten-this is done by using poles to dislodge the fruit from the tree. 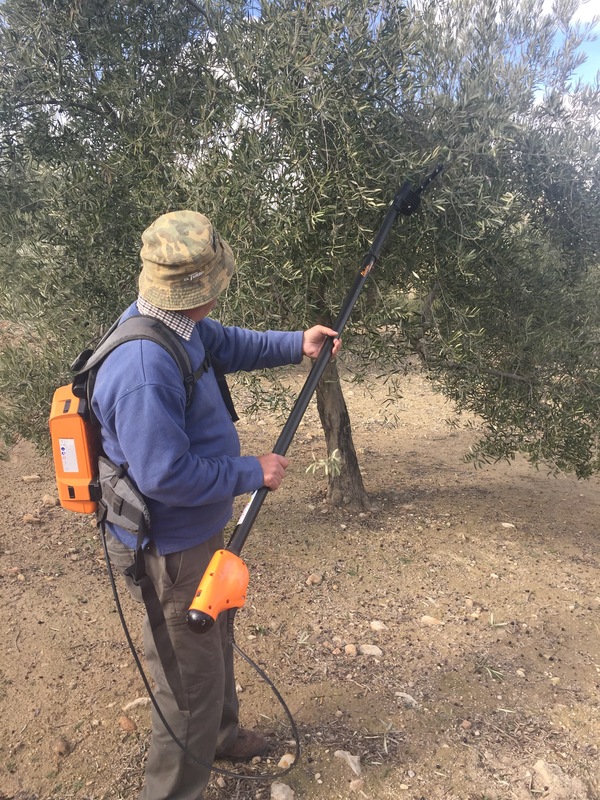 Pedro uses a vibrating machine to shake the olives right off the trees. Amigo de Abuelo de Pedro, busy at work. 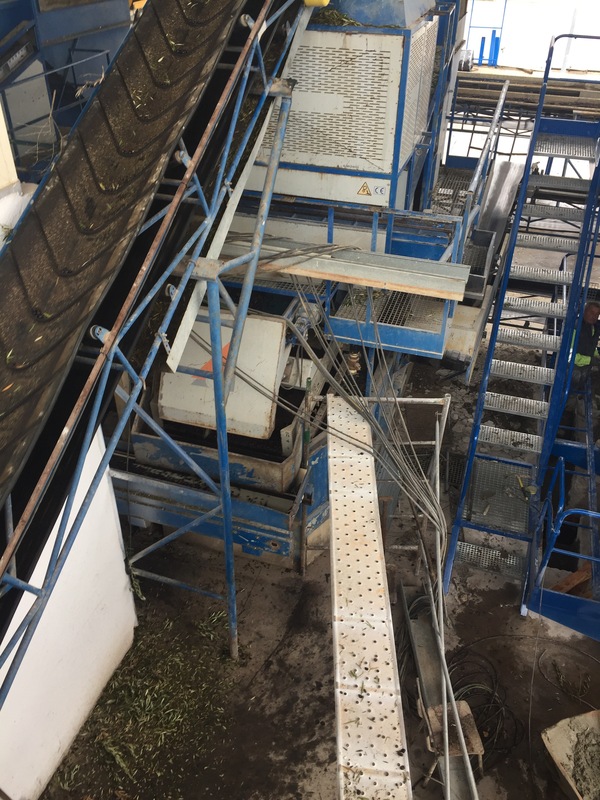 After gathering up the olives, they are brought straight to the factory. The whole process is fascinating to watch. 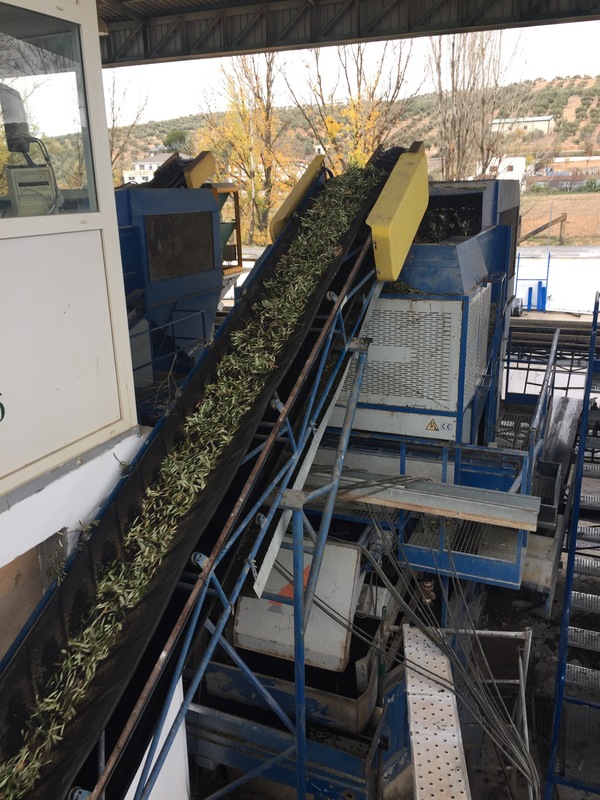 The olives are first separated from the dirt, leaves, and stones by a series of machines and conveyor belts. 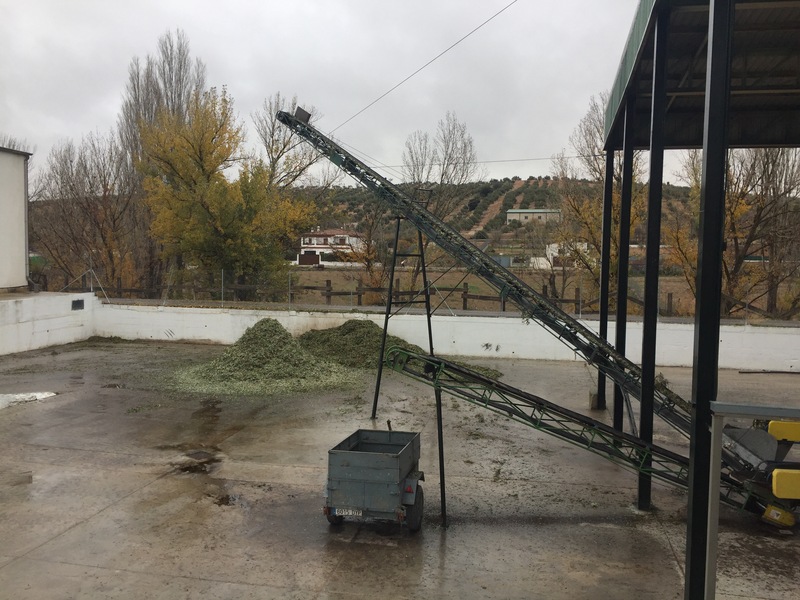 Photos taken at the ‘Zailea’ olive oil factory in Piñar, Granada. Once clean, the olives are ground to form a paste. The mixture is heated to 89 degrees Fahrenheit. 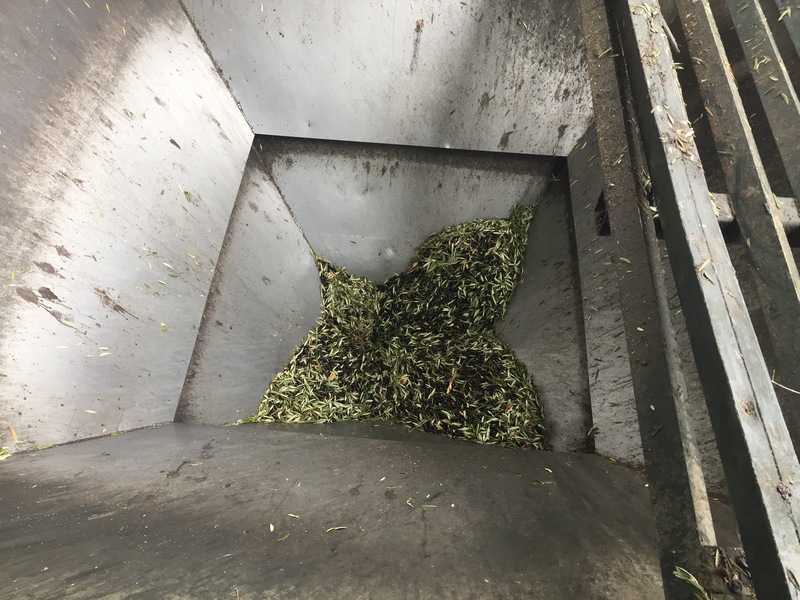 This increases the yield and is still low enough to be considered “cold pressed”. Next the paste is sent through a horizontal centrifuge, a cylindrical container that is rotated at very high speeds. Next, to separate the solid from the liquid, it is passed through a vertical centrifuge. Once this is completed, the olive oil is stored in huge temperature controlled stainless steal tanks. It is left here to decant naturally for a few weeks, I am told. Me looking at Pedro’s plots of Olives. 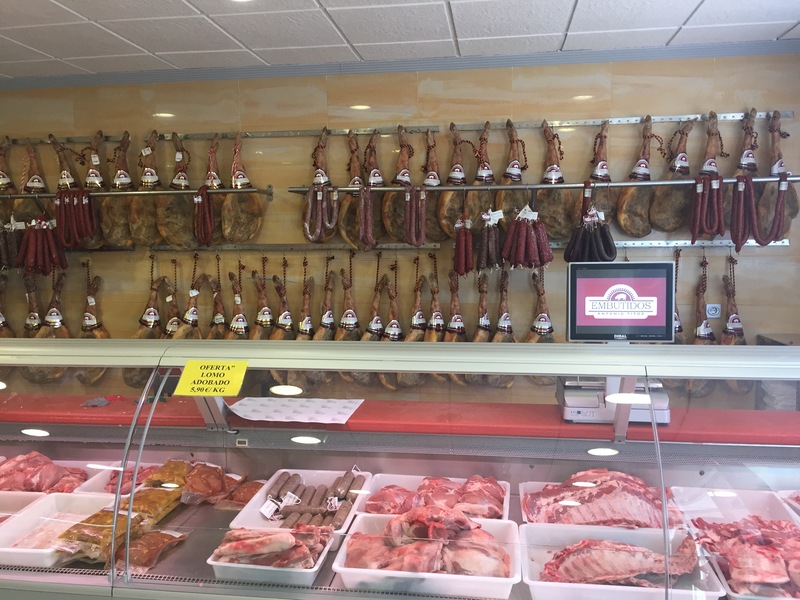 Despues our day in the olive fields, Pedro decided we would go visit a meat factory that he has been telling me about for months. I mean, could this day get any better? 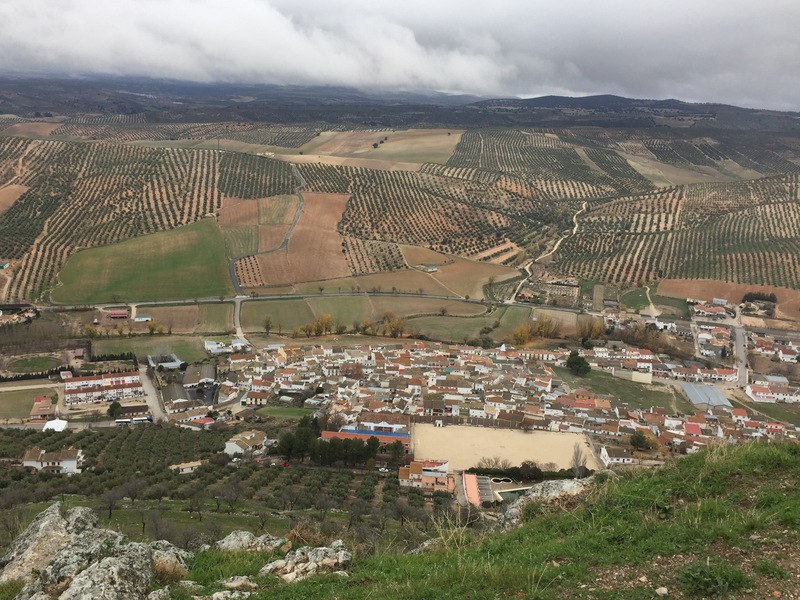 We drove to a nearby town in Granada called Iznalloz to visit ‘Antonio Titos’ and his Embutidos. 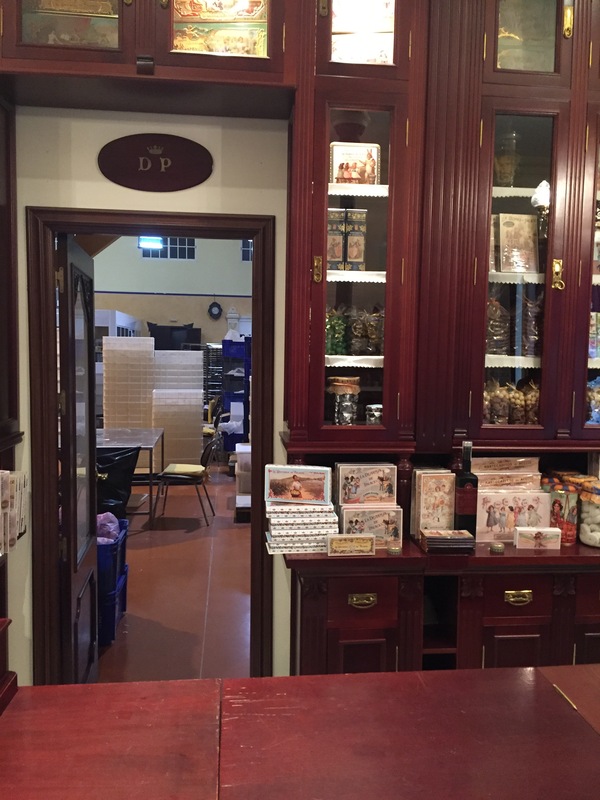 This was a small family operation that grew into a huge enterprise. 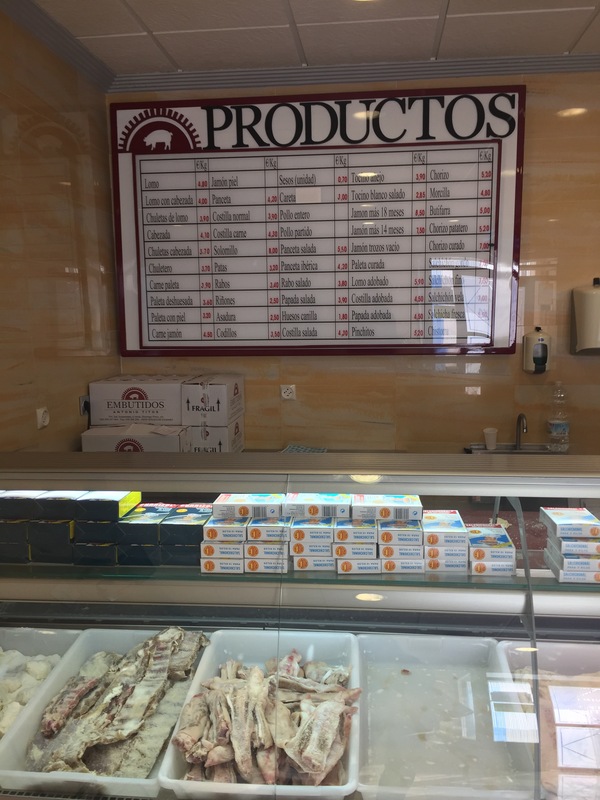 He has a small shop open to the public and it was here that we bought some of the best meats that I have had in Spain. We went back to Pedro’s home and made a fire to warm the entire house. We then spent the rest of the afternoon cooking the different meats over this fire. Fue un día perfecto! The next day we woke up early to do more of the same. We then drove to a nearby village called Piñar to have desayuno and explore. This castle you see here had been peaking our interests so this was our first stop after breakfast. Pedro is honestly the only man I know that is happy to stop and ask people for directions. This came in especially handy on Wednesday morning. Pedro eventually got the car to the top of this mountain and this was no piece of cake (we were literally in stitches laughing the entire time)! 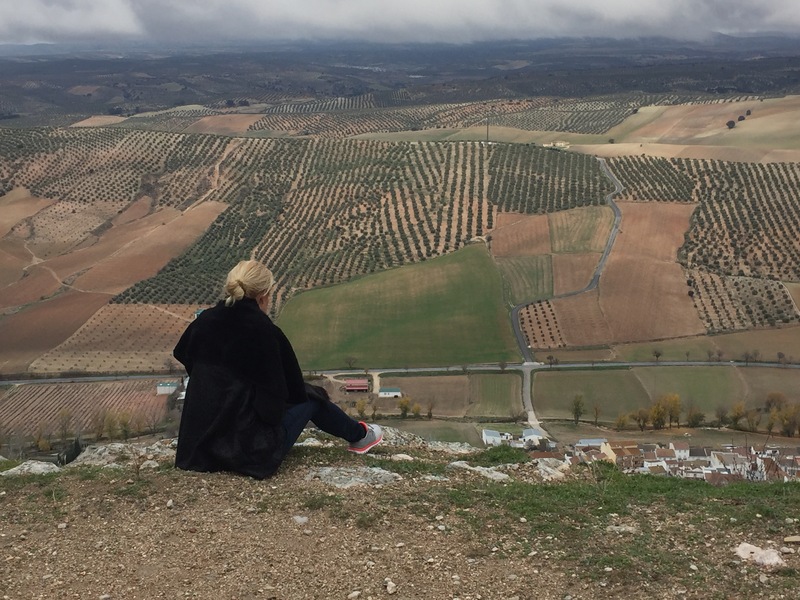 But it was worth it and we were able to enjoy the views from the ‘Castillo de Piñar’. 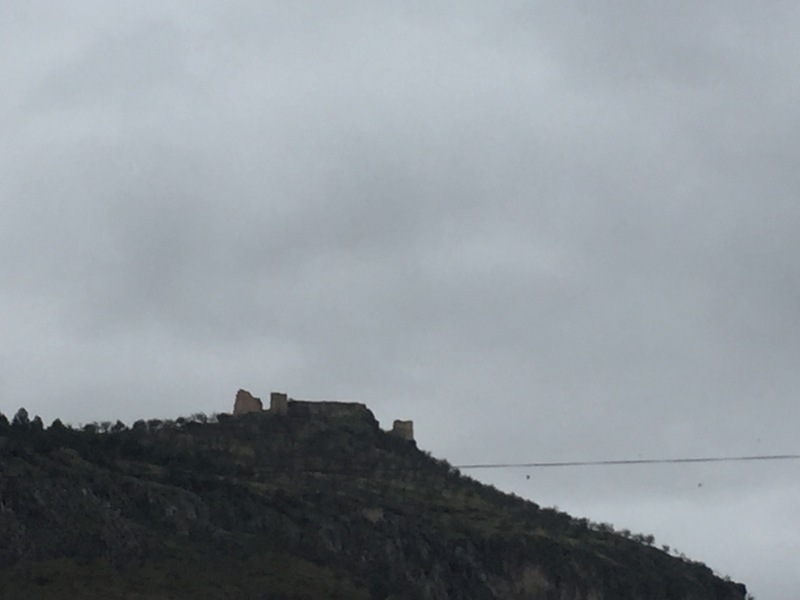 A few photos of the Castillo.